500 Days Of Film Reviews The Career Of Director Denis Villeneuve. Expectation is the double-edged sword of the film industry. Of course, every movie needs a healthy dose of pre-release buzz. However, satisfying an audience's high expectations is notoriously difficult. Exceeding them? Well, that’s a formidable challenge. However, that is just what Blade Runner 2049 director, Denis Villeneuve, has done time and time again. Take his sci fi film, Arrival, as an example. Highly anticipated since news of its development (adapted from the short story by Ted Chiang), this intelligent and deeply moving science fiction movie became one of the best films of 2016. Born on 3 October 1967 in Canada, Villeneuve studied film at Montreal’s University Of Quebec. He began his career making short films and documentaries (winning Radio Canada’s youth film competition in 1991) before releasing his first feature film, August 32nd on Earth, in 1998. In 2009, Villeneuve released his third feature film, Polytechnique. This shocking and powerful movie is based on the terrible events that occurred in December 1989 when a lone, misogynist gunman shot 28 people, leaving 14 women dead at École Polytechnique de Montréal. Villeneuve was criticised for tackling such a painful episode in the nation’s history. However, after witnessing his commitment (he spent a year on research) and his respectful approach, the families of those killed gave the film their blessing. Effectively shot in black and white, Polytechnique is gripping and often unbearably tense. It is not a film obsessed with a killer's motives, but one more interested in the devastating impact on those left behind. After Polytechnique, one might have forgiven Villeneuve for choosing something rather more light-hearted. A rom-com perhaps? However, this is just not how Villeneuve works. He doesn't do easy. He has to feel a deep passion for a story before he can turn it into a film. In an interview with George Stroumboulopoulos, Villeneuve explains that “I make movies because I fall in love with a story that says something meaningful about our world." One night, Villeneuve and his wife went to the theatre. He left having been profoundly moved by what he had seen - a play called Scorched by Wajdi Mouawad. He then approached the writer with an idea to turn the play into a film. Mouawad agreed, giving Villeneuve free reign and Incendies was born. Villeneuve describes Incendies as being about family and how anger can filter down through generations. The film tells the story of grown twins who, after the death of their mother, learn that her final wish was for them to find their father and meet a brother they never knew existed. Their journey takes them to a war-torn country in the Middle East where they start to piece together their mother’s life before she arrived in Canada. Using a dual narrative (the twins in the present day and the story of their mother’s past), Villeneuve often makes his audience aware of the story's twists before the twins find out for themselves - thereby creating a highly charged atmosphere. The film’s conclusion, when the mystery is finally revealed, is shocking and disturbing. Released in 2009, Incendies was nominated for a best foreign film Oscar. While it eventually lost out to In A Better World, Incendies opened doors for Villeneuve. He began to get calls from Hollywood, including the opportunity to direct a thriller called Prisoners. However, Villeneuve felt that the jump from Incendies to Prisoners was too great. He needed to make one more film first. That film was Enemy. 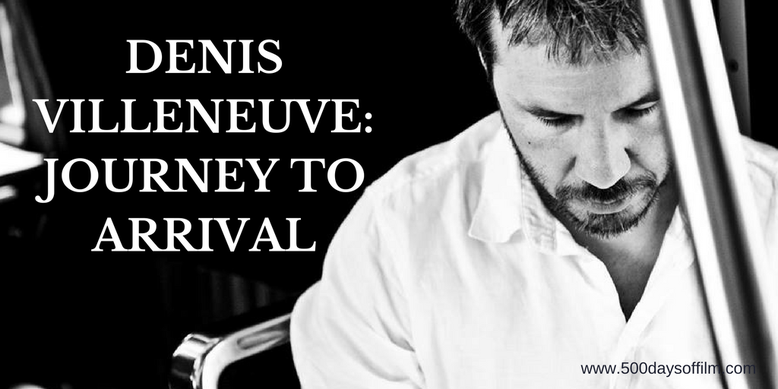 Villeneuve has called Enemy his most personal film. Based on the novel by José Saramago, this movie operates on two levels. One one level, Enemy tells the story of Adam (played by Jake Gyllenhaal), a man whose life is forever changed after meeting his doppelganger (also played by Jake Gyllenhaal). On another level, the film explores how Adam’s subconscious deals with his fear of commitment. Like Incendies, the ending of Enemy is particularly shocking and has inspired much debate. Villeneuve believes that, at its heart, Enemy is a simple story. However, the director admits that this simplicity is buried under layers of complexity. One thing is clear, Enemy rewards repeat viewings in order to piece the story together. 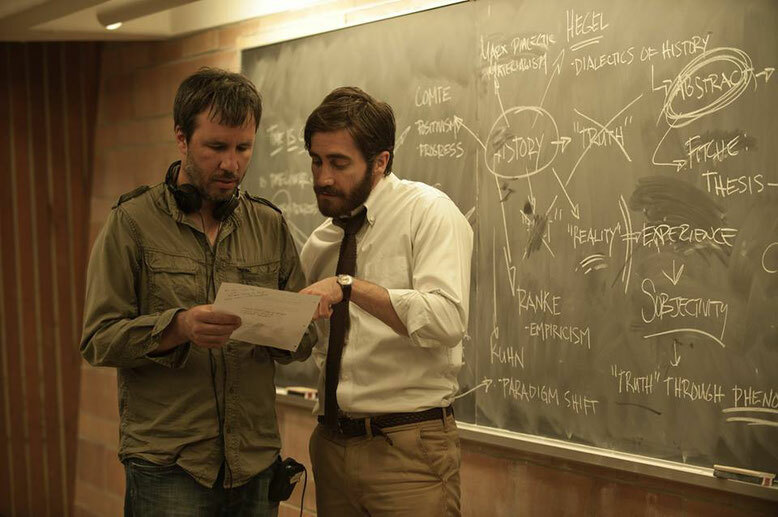 After working on Enemy, Villeneuve and Gyllenhaal became good friends. This relationship stood them in good stead for their next collaboration and Villeneuve's sixth feature film. Prisoners explores every parent’s worst nightmare - the abduction of two young children. Villeneuve's movie also looks at what actions are acceptable during such a desperate time. Is violence ever okay as a means to a noble end? In one of his most impressive performances to date, Hugh Jackman plays the father of one of the missing girls. His character, Keller Dover, goes to extremely brutal lengths in order to get information from the man he believes has kidnapped his daughter (a superb performance from Paul Dano). Jackman was concerned about the violence, but was reassured by Villeneuve's collaborative and honest approach. Prisoners is an undeniably tough movie to watch. However, it is absolutely worth it for the superb performances and challenging themes. The film also looks stunning, thanks to the (Oscar nominated) photography from legendary cinematographer, Roger Deakins. Villeneuve worked with Deakins again on his next movie, 2015’s Sicario. This film (which also netted Deakins an Oscar nomination) is another dark and disturbing tale, this time about the drug war on the border between Mexico and the US. Adapted from a screenplay by Taylor Sheridan, Sicario is an intense film with a superb central performance from Emily Blunt. However, at the start, Villeneuve came under pressure to change Blunt's Kate Macer into a man. He refused. Throughout his career, Denis Villeneuve has made films with strong female characters - consider August 32nd on Earth, Maelström, Polytechnique and Incendies. Backed up by Sheridan, he saw no reason to change tack with Sicario. The director was, of course, right to stick to his guns and Sicario is all the better for his resilience. Villeneuve’s next film, Arrival, also features a powerful female character - Amy Adams’ Dr Louise Banks. In this movie, the director created something infinitely more interesting than a simple alien invasion. Instead, he focuses on themes of time, perspective, memory and loss. Like so much of Villeneuve’s work, Arrival is a thought-provoking film that lingers long after its credits have rolled. Thanks to Blade Runner 2049, Denis Villeneuve has become a household name. However, this humble director is not one to revel in the spotlight. He would rather be behind the camera than in front of it and believes that the success of his films is down to a healthy collaboration between director, cast and crew. In an interview with Deadline, Villeneuve explains that “the idea, as a director, is to be able to bring everybody on board and to inspire and give energy to everybody and to explain specific colour, specific ambience. I need to be very precise, but I think I’m a better director when I’m more a channeler than a dictator. What Is Your Favourite Villeneuve Film? Have you watched any of Denis Villeneuve's films? If so, what is your favourite? What did you make of Enemy? Were you shocked by Incendies or the violence in Prisoners? I would love to know your thoughts on Villeneuve's movies. Just leave me a comment in the box below! really good piece on Villeneuve. He is an interesting character who seems fully on his game. I think you have been watching his back catalogue at the same time as me (certainly Incendies and Polytechnique), and have found them to be just as powerful as his later films. He certainly deals with tough scenarios well, Arrival being the lightest in tone of the films. But that kind of filmmaking, doing it right no matter the topic is refreshing to me. I'm torn to choose a favourite of his, they are all excellent films in their own ways. Enemy is so thought-provoking, i didn't know what to make of it at first but i did need to find out! Great performance(s) from Jake Gyllenhaal. Prisoners I need to rewatch, I remember it being dark and tough to watch. Being a father to 2 kids my views on this might have changed a bit now! Sicario is just excellence. Beautiful, stark but moving. Sheridan is one to watch (especially with Hell or High Water too). Blunt is amazing in this. Arrival is really a step into a new direction for Villeneuve but he handles it supremely well, crafting his story and only showing the viewer enough to get them through until he is ready to reveal. If i really had to choose it would be....erm, ah ok, ..... Sicario. Yes, no, erm not sure. I'll go with that one for now! Great write-up. I particular love the info on how he chooses projects. I've only recently discovered Villenueve and have only seen Enemy, Prisoners, and as of a couple days ago, Sicario. Maybe because I've just seen it, but Sicario is my favorite. I definitely plan on going back to see his earlier work as I find all three of those films amazing. I'm also pumped for Arrival, which I hope to see in time to review for Sunday. It has been fun watching Villeneuve's earlier films at the same time as you! I also find it hard to choose a favourite... it changes depending on my mood! Prisoners is so good but such a horrible scenario. He certainly doesn't shy away from the tough stuff. I absolutely loved Hell Or High Water. I can't wait until it comes out on DVD/VOD as I need to see it again! I'm so glad that you found this article interesting. I really enjoyed researching and writing it! It was fascinating to get an insight into his decision making process. I will look out for your review of Arrival and would love to know your thoughts on Villeneuve's earlier films!